We have sold out of all RASC Observer's Handbooks for the 2019 season. The 2019 edition is available in a special USA version! Applicable sections have been tailored to the USA! League Sales is only selling the USA version. 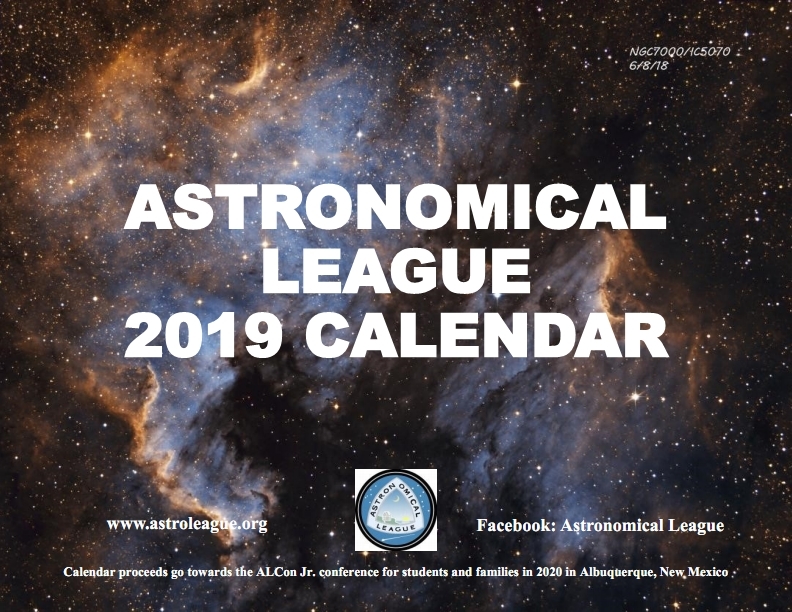 The Astronomical League is the place to get the RASC Handbook and Calendar each year. These are great items -- If you haven't tried either before, this is the time and place. Many customers who try these become repeat customers the very next year. The AL has secured very special pricing on these items and is passing the savings on to our customers. Supplies are limited every year, so order early to ensure product availability. Most years we sell out in December for the next year's products. The RASC Handbook, published for over 100 years, is an approximately 350 page guide published annually by The Royal Astronomical Society of Canada. 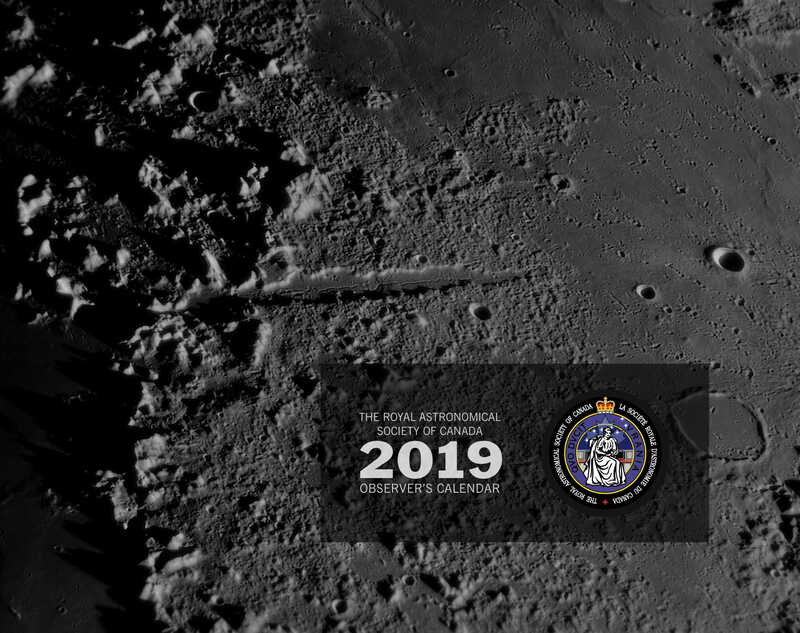 With more than 40 contributors annually, the RASC Handbook is appropriate both professional and amateur astronomers, students, Scouts, and others, and is considered a must have reference of North American sky data for the active astronomer. There are two primary kinds of data in the Handbook: information on astronomical events that occur during the current year; and astronomical data and other information that does not vary from year to year. Yearly data includes such topics as: rise/set times for sun and moon; eclipses; location of the planets and bright asteroids; periodic comets; times of meteor showers; star occultations by the Moon/asteroids; orbital positions of the brighter satellites for Jupiter and Saturn; and, cycle information of many variable stars. Recurring data includes such topics as: orbital/physical data on the planets and their satellites; astronomical and physical constants; some optical properties of telescopes/binoculars; information on filters for astronomical observing; light pollution and sky transparency; descriptions of the various systems of specifying time; information on the Sun including sunspots and aurorae; a list of meteorite craters in the US and Canada; advice on using the RASC Handbook for teaching astronomy; information on the Gegenschein and zodiacal light; 40 pages of tables dealing with stars, star clusters, nebulae and galaxies; and, maps of the Moon and the entire stellar sky. Regular retail for this Handbook with shipping is $39.95, but the Astronomical League buys a bulk order and passes the savings on to you.